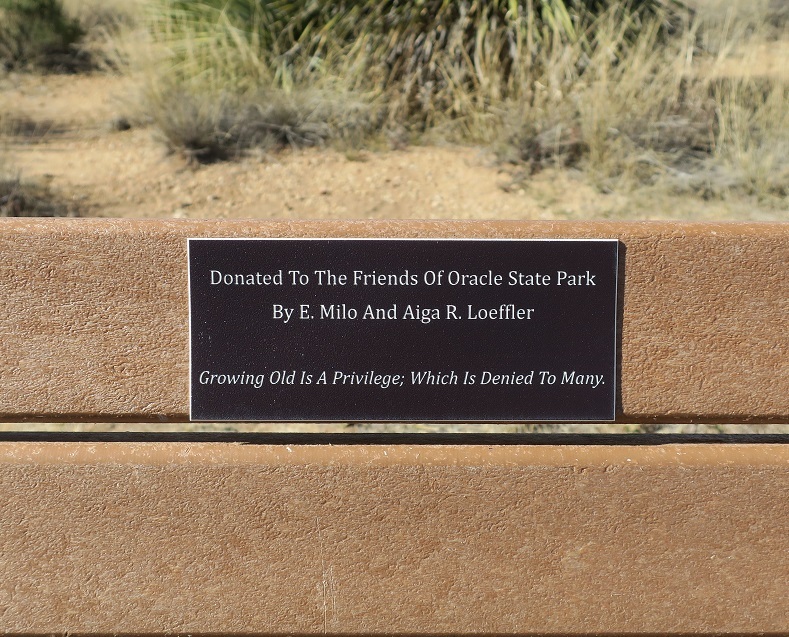 One of the reasons that Oracle State Park is my favorite Tucson area park are its unexpected bench plaques. 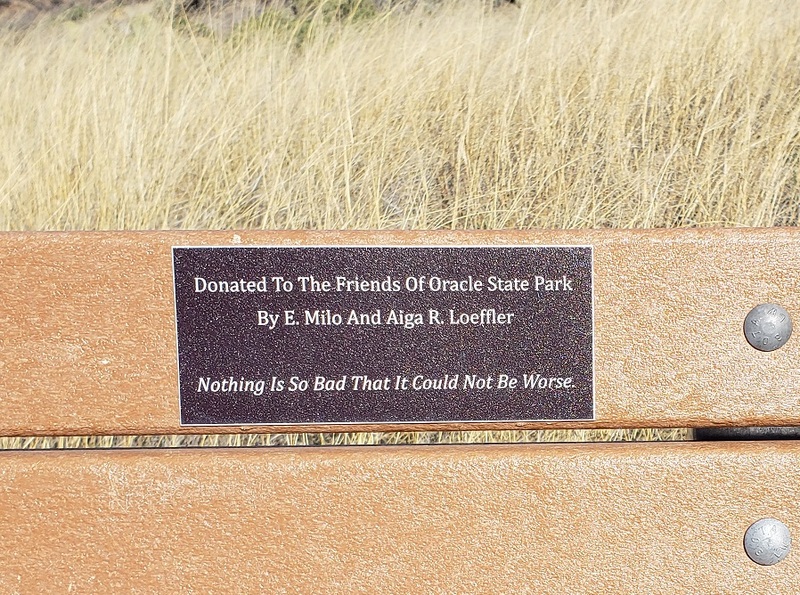 Here’s another one from E. Milo and Aiga R. Loeffler. The park is in the town of Oracle, which began, in the late 19th century, as a gold and silver mining town. Then around the turn of the 20th century, it gained fame as a tuberculosis retreat. 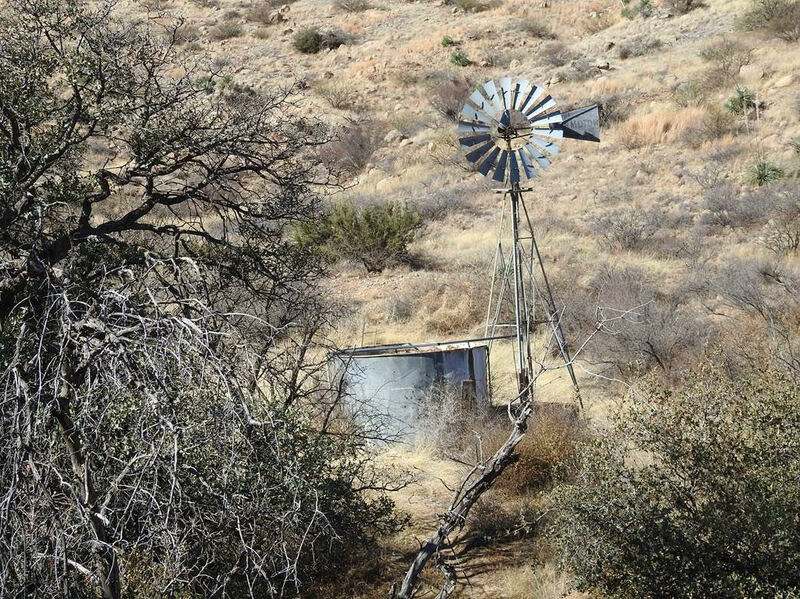 It is an almost 4000 acre property, in the northwestern foothills of the Santa Catalina Mountains, with about 15 miles of hiking trails. 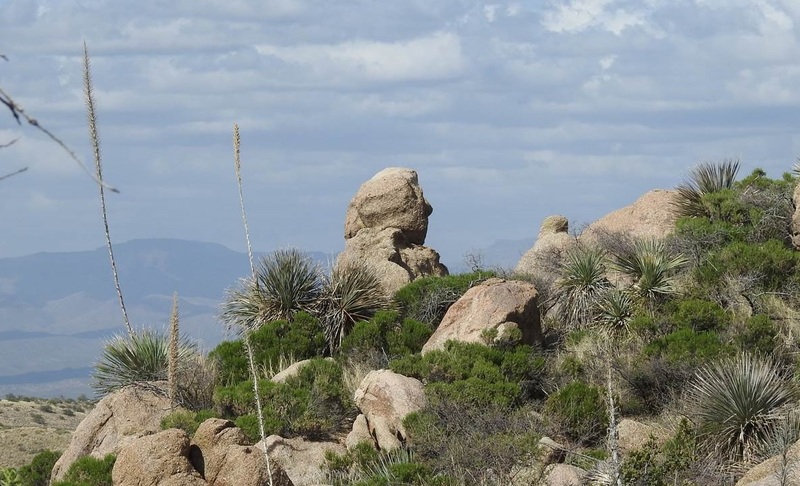 This includes a part of the Arizona National Scenic Trail, an 800 mile north/south route through the middle of Arizona, from Mexico to Utah. 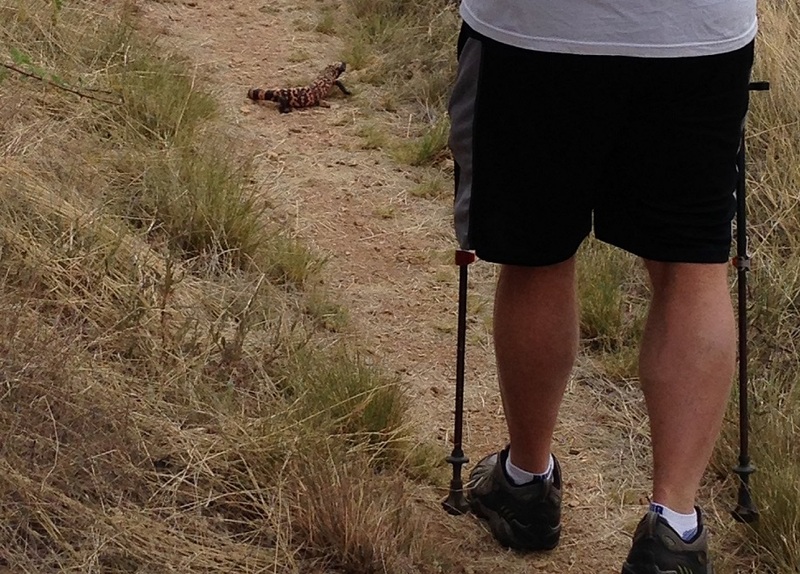 I saw my first and only gila monster — a notoriously shy creature — on a trail at Oracle. He sunning himself on the trail and he was not as startled by us as we were by him. When he saw us, he took his sweet time moseying down the path and into the brush. Here’s a close-up (taken by zoom from afar) and a shot with Mr. HT in the frame so that you can see how big he was. Anyone else see George Washington? No? Alrighty then…. Gallery | This entry was posted in Arizona. Bookmark the permalink. I’ve seen more wildlife at Oracle than any other park. 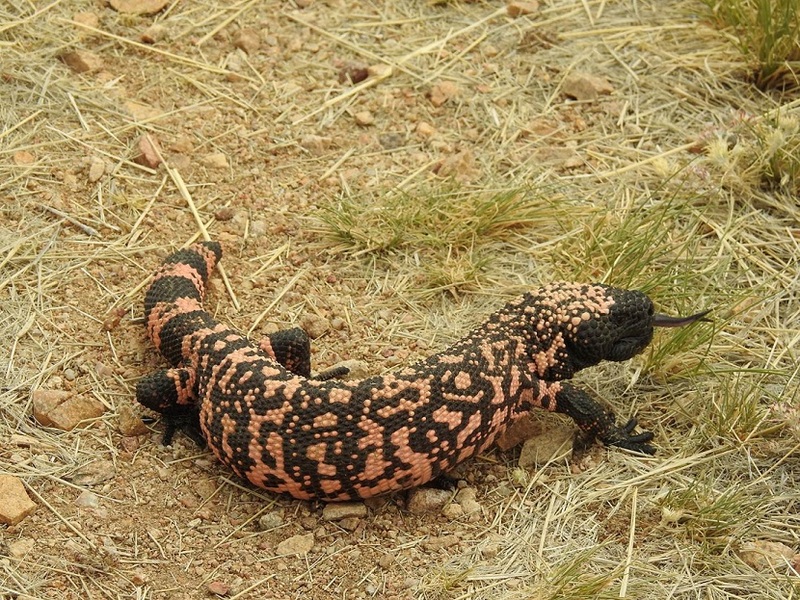 The gila monster has been the highlight, though.